First. If you just want to play it safe and boring, just get your boards from your industrial supplier. 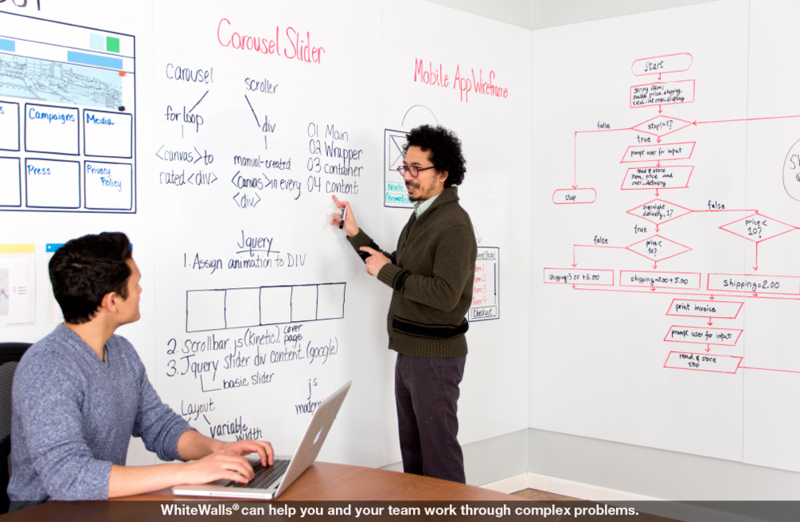 You probably have a small white board in your conference room. We are not going to detail those here. What follows are for serious collaboration! Steelcase is a big provider that does have some good products, but most of the are too heavy for daily collaborative work. For example. 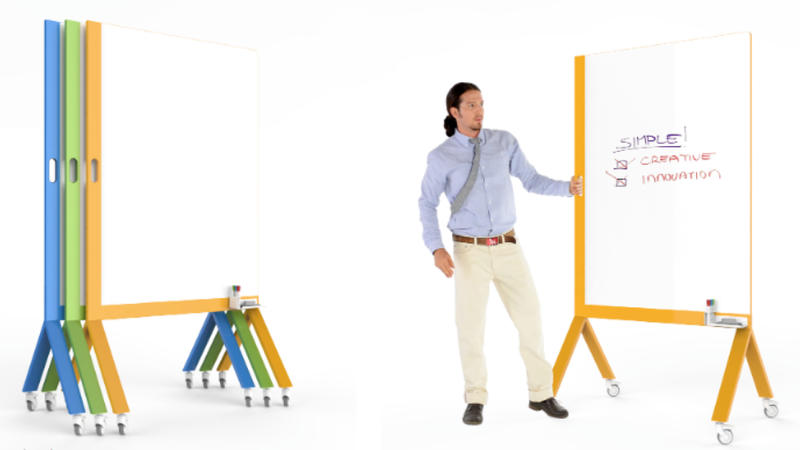 Then it starts to get a little more fun with IdeaPaint. 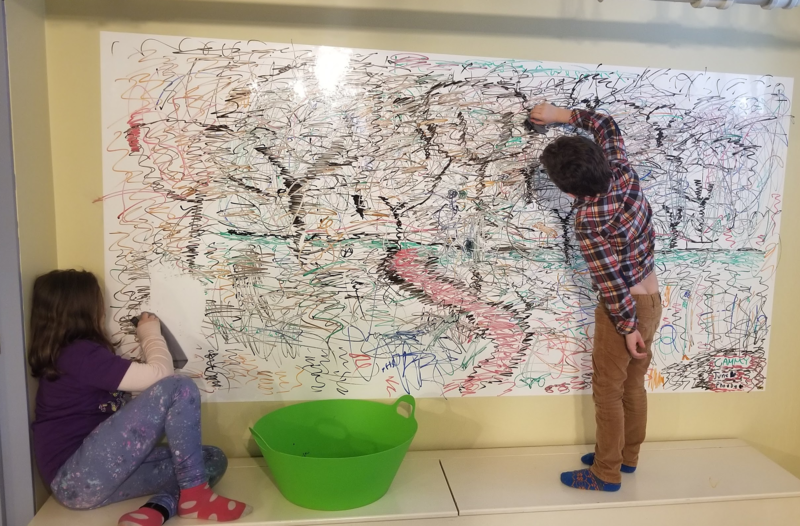 Yes, you can literally paint white board surface on to any wall. 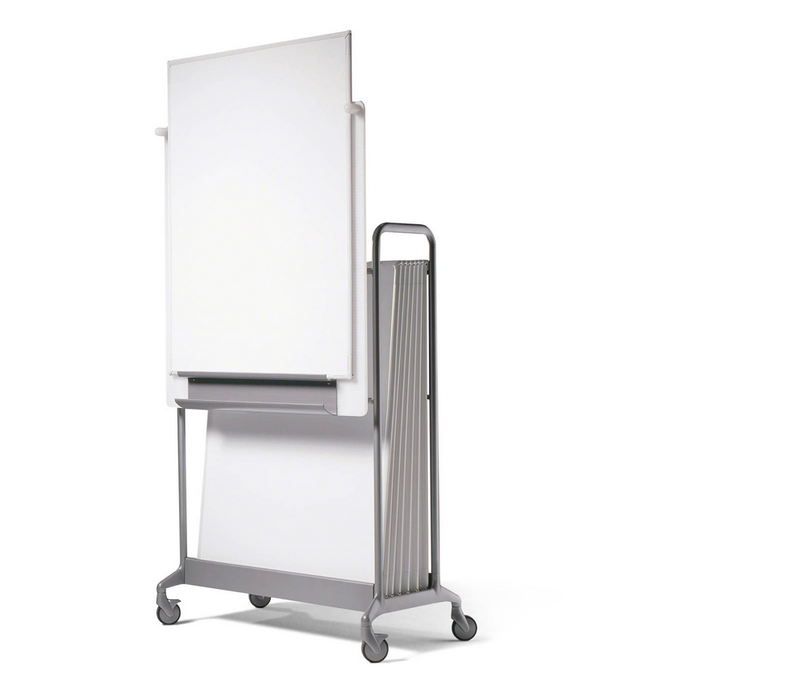 Then you can get trendier with Scale 1:1 Marc colored white boards. 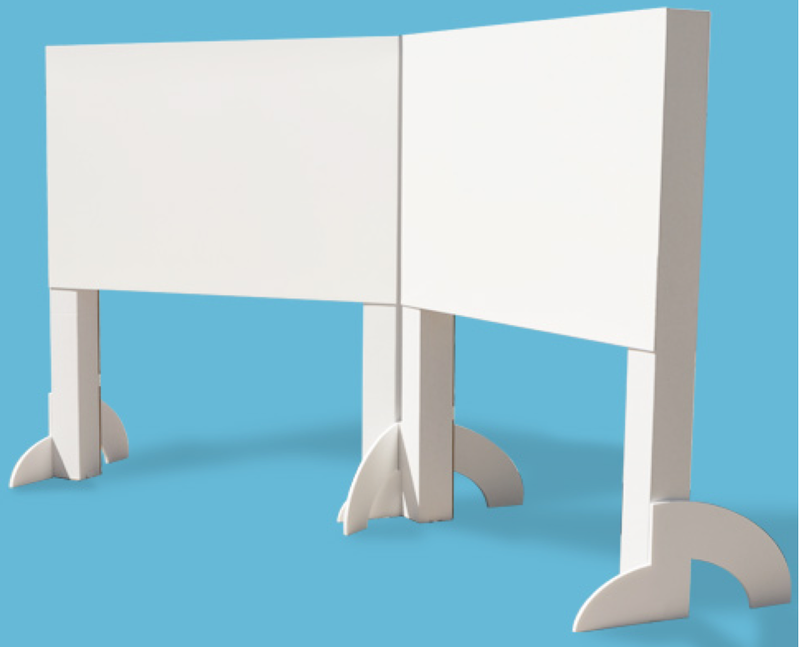 But to get more collaborative, you need to think about the way the legs/wheels move together when you line up or wrap multiple boards around each other for more effective work. Nola Kjelgaard from Kinetic Energies has been making lightweight, high quality wooden sided walls that not only ship well, but stay beautiful for years. Don't let the pictures fool you. 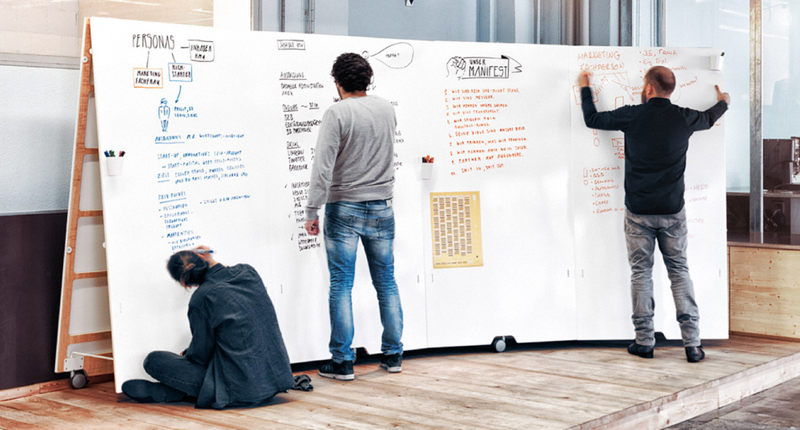 These are some of the best white boards on the market. 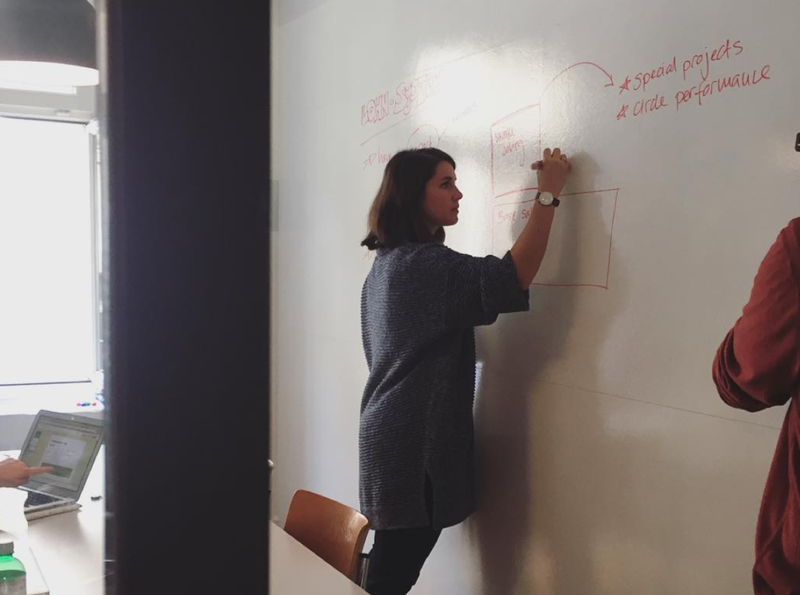 In recent years, there have been some very interesting developments in white boards. One of the lightest weight are called Cindy's from Firework Labs. They drop ship walls to any space and you can build a wall in less that 5 minutes. The feet interlock and are even durable. Finally, arguably the most sophisticated boards you can rent and buy are from Switzerland, but now for sale in the USA. Simply gorgeous and effective. Moving-Walls.